Microsoft is being put under fire after receiving 238 internal complaints from women working in the company about gender discrimination or sexual harassment. The world's largest software company is denying the allegations. On March 2018, court documents about the complaints from 2010 to 2016 went public. Microsoft allegedly refused to give pay raises or promotions to women at the multi-million company. The lawsuit which has been filed in 2015 is being pushed to be a class action lawsuit where it could cover more than 8,000 women. It has caught more attention recently after the series of revelations of sexual misconduct by men causing them to leave or be fired from their jobs. Microsoft has been denying the allegations, saying that only one out of the 118 gender discrimination complaints were considered "founded" by the company. In a statement, Microsoft also claims that the company has a robust system that would investigate concerns raised by its employees and allows them to speak up. They also allot $55 million every year for promoting diversity and inclusion. 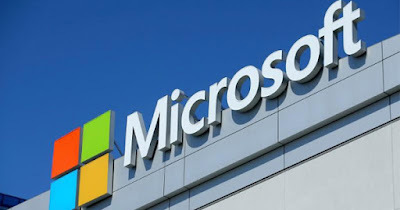 Moreover, Microsoft argued that the complainants could not cite any particular example of pay or promotion issue where they could have found a violation of the company policy. It is also an issue that the complaints became public. Companies generally keep information about complaints private so as to not discourage employees from reporting future abuses. There has been no ruling from the court yet about the complainant's request for class action status.